Pacman Arcade Machine Rental for trade show traffic builders, corporate events and 80's theme events. 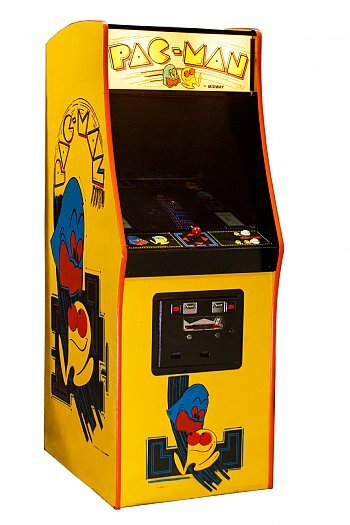 Our Pacman arcade machine rental is the original upright cabinet that has been refurbished and restored. The pacman graphics on the side of the arcade machine rental have been meticulously restored to their authentic appearance. Considered one of the most addictive arcade games from the 80's the pacman arcade machine rental is quite versatile for a variety of events. Due to its compact size of being only 30 inches wide and 33 inches in depth, the pacman arcade machine rental can fit in a 10 x 10 trade show booth and not take away from the exhibit space. 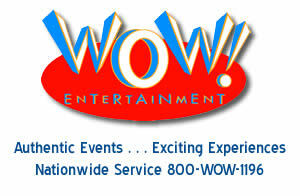 To the WOW Entertainment team: Thank you for all you have done to make both of the Chubb"End of the Year” 80’s parties a success. I appreciate how hard youand your team worked at both of our projects! Job well done. Thank you!